This is our interactive website for promoting the Best of the Best Sun Peaks Resort activities, Sun Peaks accommodations, restaurants, tours, trails, services, discounts, special offers and more. Family friendly Sun Peak Resort - one of the best all-season ski resorts and bike parks in North America, located in Beautiful British Columbia. Head up the hill to chill no matter the season! Click the orange button to subscribe. Lifts for Sun Peaks hiking and biking start turning June 21, 2019, and discount hiking and biking lift passes are now available through our Liftopia link. 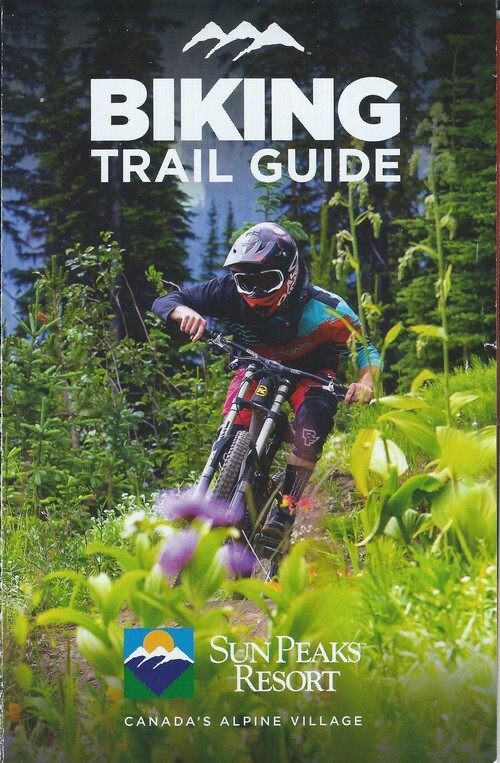 Part of the Sun Peaks 2019 expansion plans includes the spending of an additional $350,000 in Bike Park trail upgrades, which will provide even more and better trails for beginners all the way through to experts to shred. And the Sun Peaks summer hiking - wow! Beautiful vistas and colorful wildflower meadows are available for hikers and photographers of all abilities to enjoy. Continue reading "Discounted Sun Peaks Summer Hiking and Biking Passes Now Available"
Continue reading "Village Walk Vacation Rental - Luxurious New Sun Peaks Accommodation "
Continue reading "Sun Peaks Spring Activities -Colors Burst To Life When The Lifts Close"
We are pleased to be the first owners to list their Sun Peaks properties on HouFY (House For You), a new community-based vacation rental listing site that provides an easy to use, unique and enhanced way to list or find vacation rental properties around the world. It is similar to VRBO/Homeaway and Airbnb, except better since there are no hidden booking fees or communication restrictions, which will make booking your next vacation rental much easier and more affordable. There are already thousands of vacation rentals world-wide listed on Houfy direct by owners, as well as tens of thousands of travelers that are starting to realize how great Houfy is. Houfy is easy to use and can save travelers money on the same properties that are listed on the other sites for 10-15% more, and travelers can book their vacation rental direct with the verified owners using this growing rental community platform. Check out Houfy today to see if they have A House For You! Continue reading "Houfy Vacation Rentals Saves Travelers Lots of Money"
Continue reading "Trappers Landing Sun Peaks - Beautiful Ski-in Ski-out Townhouse "
Continue reading "BestSunPeaks condo - Luxurious Stone's Throw Vacation Rental Sun Peaks"
Continue reading "Best Sun Peaks News and Special Offers"
The first of the 2019 FREE Sun Peaks Summer Concert Series was announced, with Canadian singer-songwriter Serena Ryder performing live on Saturday, July 27th slopeside at the Annex. Serena Ryder has won six Juno Awards and her single “Stompa” is 4x platinum in Canada. “Stompa” also hit No. 1 at AAA radio in the U.S. for eight weeks and landed in the Top 10 at Alternative radio, Hot AC and AC. Ryder has shared the stage with OneRepublic, Kanye West, Sara Bareilles, and more. Other popular hits include Got Your Number, What I wouldn’t Do, Electric Love, Little Bit of Red, and more. With so many family-friendly summertime recreational activities available right from your doorstep, now is the perfect time to plan a week-long summer vacation. Book your Best Sun Peaks Vacation Rental direct from owner now for best selection and pricing. Continue reading "2019 FREE Sun Peaks Summer Concert Series - Serena Ryder"
Continue reading "Sun Peaks Trappers Landing Reviews - Wonderful ski-in ski-out townhome"
Continue reading "Best Sun Peaks Bar, Patio and Après-Ski Destinations "
Continue reading "Gils Ski Area Sun Peaks - Best Sun Peaks powder and off-piste skiing"
Continue reading "Sun Peaks Ski Bikes - Enjoy The Thrill Of Skiing Downhill On A Bike"
Help us fill the last remaining spaces and save 10-20% or more. Cozy Crystal Forest 3 bedroom townhouse for a quick ski-getaway? Spacious Trapper's Landing townhouse - right next to the new Orient chairlift. 4 Bedrooms (sleeps 10),Bonus Area,3.5 Bathrooms,Luxury Upgrades, Hot tub, BBQ, Sundeck with Beautiful Mountain Views, Easy Ski-in/Ski-out. 10% off March 2-7 (4 night minimum), 11-17th (5 night minimum) or April 8-11 (3 night minimum). Book direct with us to save even more! Continue reading "Sun Peaks Accommodation Specials"
Feb 10-14th is also available in our Best Sun Peaks Trapper's Landing townhouse at 10% savings. 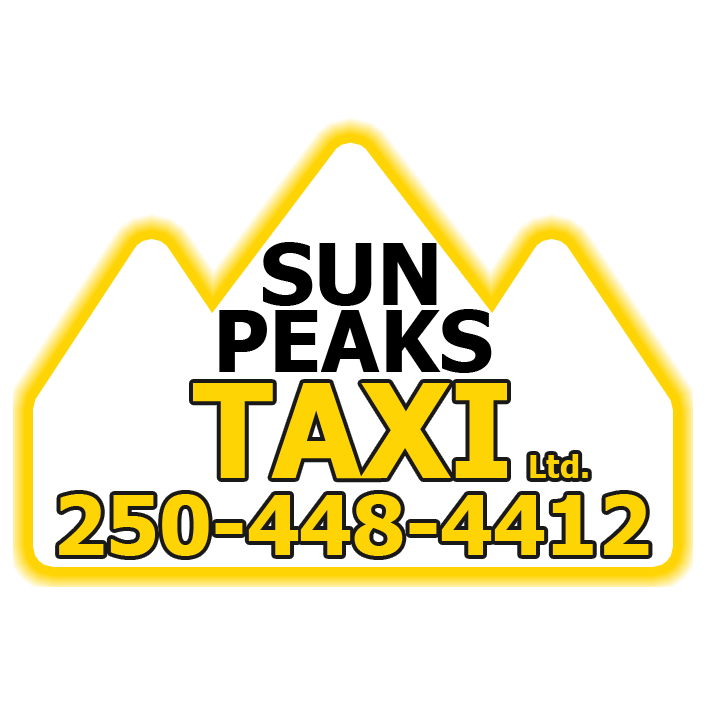 Be sure to get your discounted Sun Peaks lift tickets through us as well. Continue reading "Timberline Village Discount - Valentines in Sun Peaks"
So what makes us want to include and promote a Sun Peaks Vacation Rental as one of our best Sun Peaks Vacation Rentals? Caring owners and reviews like this that was recently received by Jacqueline, owners of Trail's Edge #15...."Jacqueline was a super host! We had a wonderful time in her home and all the caring extra touches she put into the house made a great house superb. The house was clean and we were very grateful for the wine, chocolate, popcorn and hand warmers - thank you!!! The kids loved the play room in the basement and for the adults the apres ski jacuzzi was the best part of each day. We loved that it was a true ski in ski out house - even for our kids. And the kitchen had every appliance/pot/container we could ask for. Thank you so much. Jacqueline even went out of her way helping us with booking accommodation at the beginning of our trip and letting us use the garage to store our bags on our last day. We will be recommending your Trail's Edge townhouse to all our friends!" Now accepting reservations for the 2019/2020 ski season. Continue reading "Trail's Edge - A Best Sun Peaks Vacation Rental"
Absolutely stunning accommodation! We couldn't have asked for more!! We stayed at Nancy and Paul's condo for 12 wonderful days. Cosy, warm and inviting plus it had every little thing you could ask for to make it a home away from home. Well stocked pantry, cosy fire, inviting hot tub, plenty of room and stunning views out of those amazing windows. Easy ski in ski out location and a convenient few steps away from the regular shuttle run to the village a few minutes away. Thanks so much for making this a holiday of a lifetime!! We'll definitely be back !! Continue reading "Absolutely stunning accommodation! We couldn't have asked for more!!" 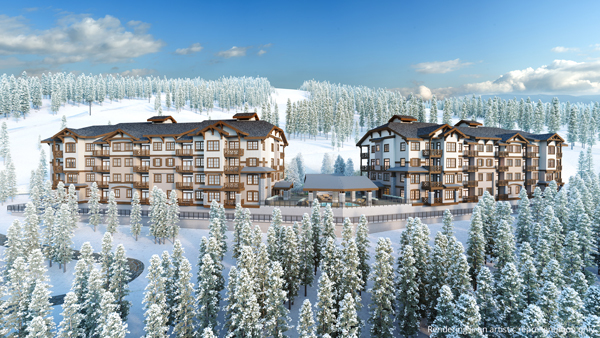 - The new Elevation project has started pre-selling, and it was recently announced that owners will be offered the choice of being able to join the Sun Peaks Grand Owners Club and benefit from its marketing and rental management services. 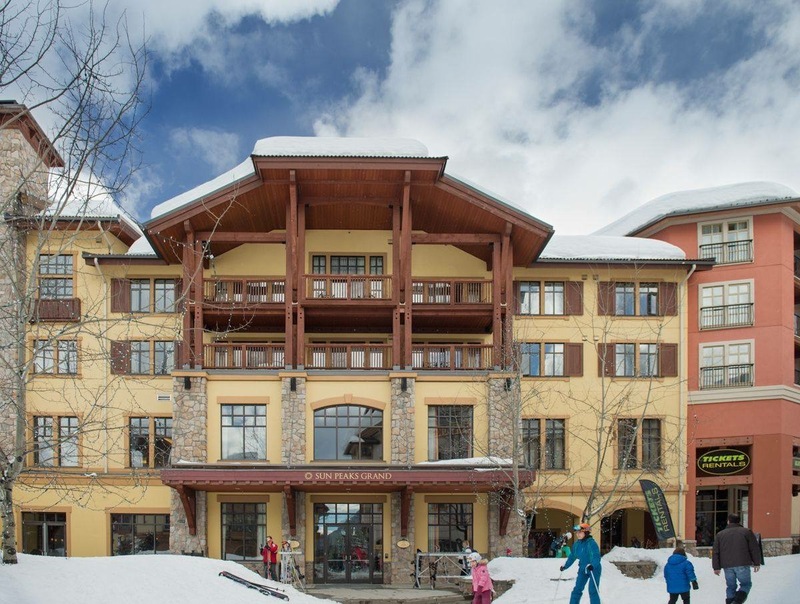 Owners of condos at the Residences at Sun Peaks Grand have long benefited from the rental management services and resort related discounts offered to members of the Sun Peaks Grand Owners Club. 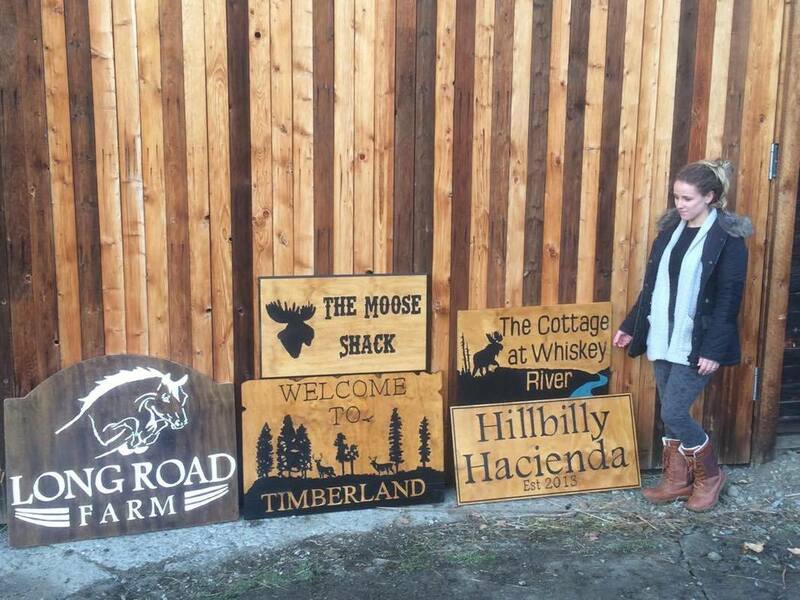 Continue reading "Sun Peaks Real Estate News"
Continue reading "Custom Wood Signs - Carved and Hanging Wooden Signs and Plaques"
Two families spent a couple nights over the holidays and thoroughly enjoyed your Trapper's Landing townhouse. The layout of the place was excellent providing lots of room for 5 children ages 5-12. We had everything we needed and it was so nice to have the basement living space for the kids to play. Location was amazing especially given the new Orient lift recently opened nearby. The garage provided a great place to get ready for skiing everyday. Thank you so much for squeezing us in over the holidays, it was just perfect and we can't wait to come back. 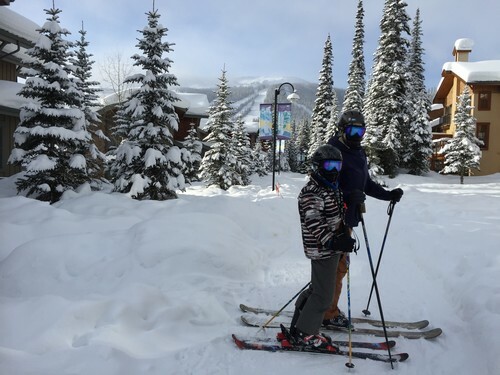 Continue reading "Review of our Trapper's Landing Townhouse"
My family and I enjoyed a lovely 12 days in Sun Peaks! The Village Walk townhouse was gorgeous! It was comfortable, well designed and perfect for a large family. They house is split between three levels which made it nice for everyone who wanted time away from the rest of the family. The kitchen was beautiful and had all the right appliances for making meals all week. The house is less than a five minute walk to the village. The house was also well suited for skiers! Ski in Ski out and a great entry with plenty of room for all the shoes, hats, gloves, jackets etc. Additionally, it had a heated floor, which was lovely after a long day of skiing. Lastly, the owners were lovely and super organized in providing information and resources for the house. Thank you for letting us stay in your home! 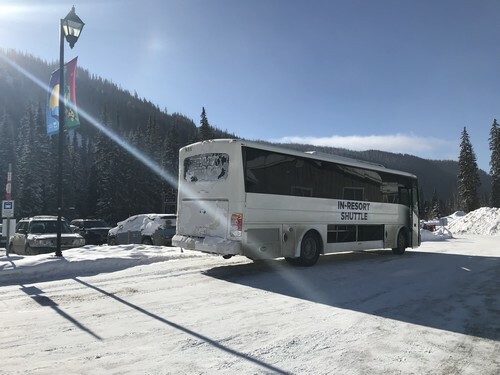 Continue reading "Review of Sun Peaks Village Walk Ski-in Ski-out Rental"
Fans of Sun Peaks were thrilled when world famous National Geographic recently recommended Sun Peaks Resort as a "Best Winter Trip" in their 2019 article. In their words, "Snowshoeing, dogsledding, storm-watching, and the illuminated Capilano Suspension Bridge all make British Columbia a favorite winter destination. But if you’re planning on skiing, ski-biking, or snow-limo-riding—avoid the long lift lines at Whistler and head for Sun Peaks, Canada’s second largest ski area, where three powdery peaks and 4,270 acres of skiable terrain lead down to one central village." We couldn't agree more National Geographic - no matter the season, plan a visit to beautiful Sun Peaks Resort, Canada's Alpine Village. And if you need Sun Peaks Best accommodation, we would be pleased to help. Continue reading "National Geographic Calls Sun Peaks A Best Winter Trip of 2019"
Sun Peaks ski-in ski-out accommodations are considered to be some of the best in the world - which is best for you? Continue reading "Best Sun Peaks Ski-In Ski-Out Accommodation Options"
So thrilled to have earned another 5 Star review in our first review of the 2018/19 ski season. "We were four adults (one couple, two singles) spending 4 nights at Sun Peaks and Paul and Nancy's condo was just the perfect spot for us. It's located right across the street from the Nordic Centre, which was great for us as we took a two-day skate ski camp. I believe it is also ski-in, ski-out, although the day we alpine skied we drove to the main lodge as we were renting equipment (you could walk to the main lodge in ten minutes - ditto to any of the restaurants in the village). The condo is comfy, decorated in an alpine style, comfy beds (I think they were memory foam mattresses? ), floor heating in the bathrooms, and a really well stocked kitchen. It was dead quiet at night, and the hot tub was a real treat for our sore muscles apres ski! I would highly recommend." 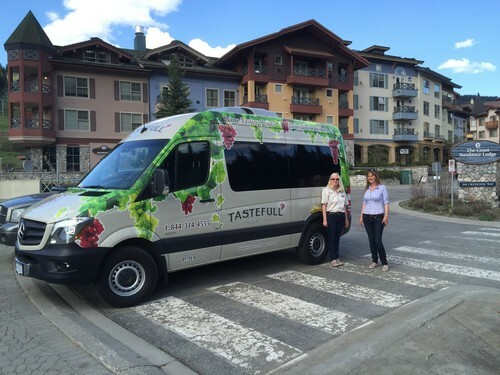 Continue reading "Perfect Sun Peaks Getaway - Stone's Throw"
Continue reading "Sun Peaks Real Estate - Is this a good time to buy a vacation rental?" Stoked to see the first tower of the new Sun Peaks Orient chairlift being set in place today! This new lift is located right across from Trapper's Landing and Stone's Throw (seen in the background here) and will take skiers above the Morrisey Express overpass and up Sundance Mountain. The new chairlift is expected to be up and running by Christmas of 2018 and will provide fantastic ski-out options from many of the east village accommodations. 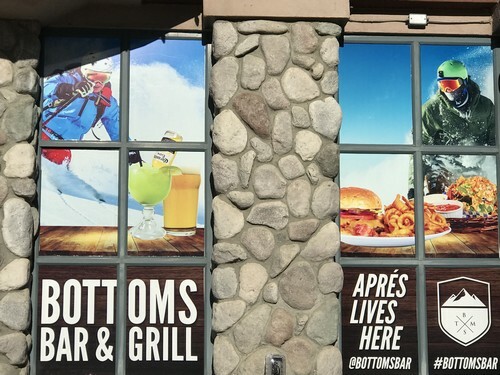 Discounted Sun Peaks accommodations are also available in Stone's Throw, Trail's Edge and Trapper's Landing for extended stays prior to December 15th, and while lift passes aren't sold in Costco, discounted lift passes for the other days can be purchased online in advance through Liftopia. Continue reading "First tower of the new Sun Peaks Orient Chairlift Installed today"
Continue reading "Crystal Forest Sun Peaks Townhouse #69 - The Fox and The Hound Den"
Monday December 3rd is the Sun Peaks Winter High Five Day where a donation of $5/person plus a non-perishable food item will get you an alpine skiing or Nordic skiing lift ticket for the day. Not only will you get a great day in beautiful Sun Peaks, but you’ll be helping a great cause in the process! All donations and proceeds go to the Kamloops Food Bank, so you can enjoy some fantastic early season turns knowing that you're helping a great local cause. Discounted Sun Peaks accommodations are also available in Stone's Throw, Trail's Edge and Trapper's Landing for extended stays, and discounted lift passes for the other days can be purchased online in advance. Continue reading "Sun Peaks High 5 Day - Discounted Lift Passes For A Good Cause"
The snow is falling and skiers are getting excited for the coming ski season. Enjoy some early season turns on quiet runs, and take 10% off posted rates for beautiful BestSunPeaks units in Trail's Edge, Stone's Throw and Trapper's Landing stays before December 15th, 2018. Continue reading "Early Ski Season Special Offer for Sun Peaks Accommodation"
Continue reading "Sun Peaks Shuttle Bus & Taxi for getting to, from & around Sun Peaks"
Continue reading "Sun Peaks Taxi – new taxi service available at Sun Peaks Resort"
"Hasta La Vista", baby now has a new meaning at Sun Peaks. It is the name of the newest intermediate/blue run at Sun Peaks, and goes directly under the new Sun Peaks Orient Chairlift. It starts at an elevation of around 1,525 meters (5,003 feet) and takes you back to either the Orient or the Morrisey Express chairlifts. The Main Village Connector is the new beginner/green run at the top of the Orient chairlift that has been cut to take skiers on a gentle grade across to the Rambler trail on Sundance where they can then ski directly back down to the main village. The Orient Chairlift is currently under construction and is expected to be in place for the 2018 holiday season (weather conditions permitting). 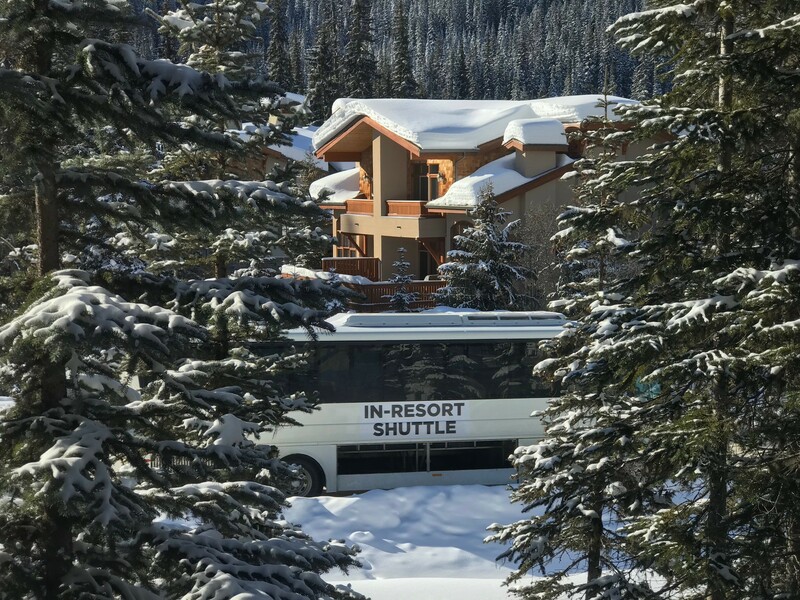 Continue reading ""Hasta La Vista" has a new meaning at Sun Peaks"
Best Sun Peaks Hotels - which is best for your needs? 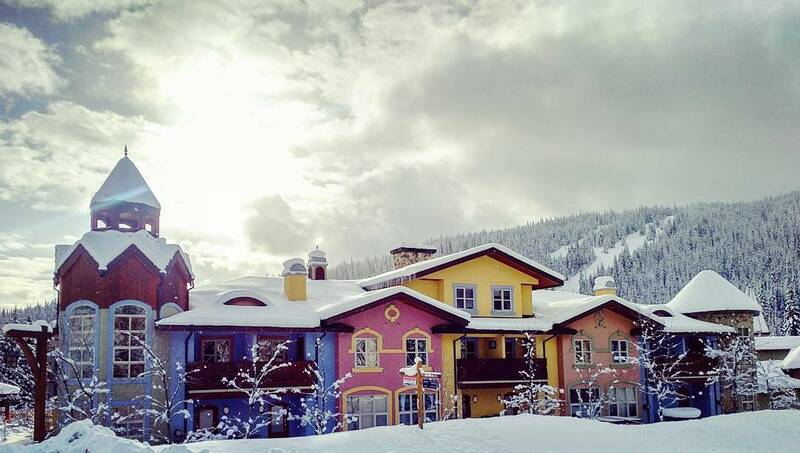 Continue reading "Best Sun Peaks Hotels - which is best for your needs?" 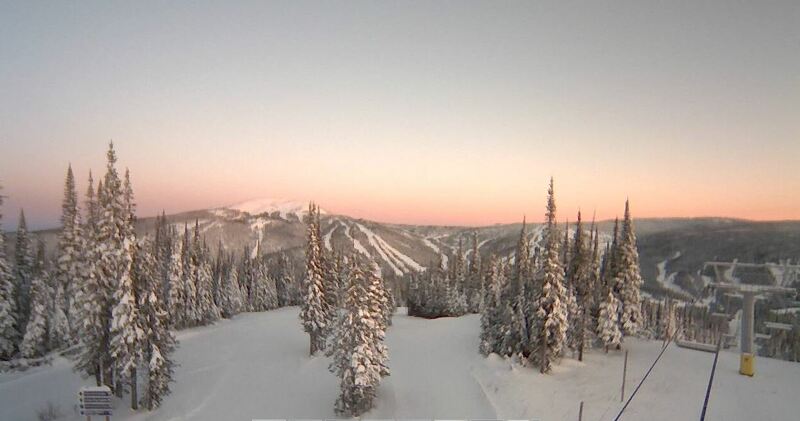 For those still wanting to invest in Sun Peaks real estate......And more news - another new Sun Peaks real estate development was announced today - Elevation. Following the most recent developments at Sun Peaks, Village Walk (sold out) Echo Landing (sold out), and Peaks West (units still available), this looks like a fantastic new Sun Peaks Real Estate development. Elevation is coming soon to the east village area, and will be the first multi-family development at Sun Peaks to combine the beauty of a high alpine location and views with easy ski-in/ski-out access via the new Orient Express chairlift to Sun Peaks Resort. From this unique location you can enjoy the runs on Sundance Mountain and/or ski down to the Morrisey Express. They apparently will offer stylish designs, smart space planning and exceptional views of all three mountains and the mountain valley. Continue reading "Elevation Sun Peaks - New Ski-in/Ski-out Condos Coming Soon"
Unfortunately for visitors to Sun Peaks and most other popular destinations in British Columbia, the new NDP government changed the BC Family day from the second Monday in February, to the third Monday, starting in 2019. This is now the same Monday as Alberta and Ontario celebrate Family Day, and as our neighbors to the south celebrate Presidents' Week - always very popular periods at Sun Peaks and other tourist destinations. While some folks are happy since they can now think about visiting family in the other area that celebrates the same day, many others are finding it impossible to find accommodation. We sold out months ago, but know of 5 beautiful vacation rentals which, at the time of posting, were still available for this period. 2 and 3) Luxurious Village Walk 4 bedroom units that are both owned by the same people, who have put an exorbitant amount of care in to each home. They've added sound proofing between the units, on demand hot water, a custom made frameless sofabed, and an ultraviolet hot tub installed before the winter which effectively eradicates 99.9% of bacteria in the water. The only differences between the homes are the layouts are mirrored and one can sleep up to 10, while the other can sleep up to 8. 4) A Chalet, which is a 2-bedroom+loft ski chalet, that can sleep up to 10 but you'll have to see if the bedding configuration will work for your group. It's about the same size as any of the Village Walk places which is pretty incredible considering it's in a hotel-style building! The Kookaburra Lodge is directly across the street from the main village on one side and the sports centre+skating rink on the other side. Contact us if you're interested - we have already sent three families these links so they won't last long. Continue reading "BC Family Day and US Presidents Day' 2019 in Sun Peaks"
2018 is a dominant year for the Adam and Shuswap Lake Sockeye Salmon and millions of salmon will be fighting for the best spawning space in rivers near Sun Peaks. Stay in Sun Peaks Resort and then drive yourself or get a group together and book an escorted tour from beautiful Sun Peaks Resort or Kamloops and be sure to experience this amazing display of sheer will power and determination as these bright red, prized Sockeye Salmon provide spectacular viewing opportunities along the rivers and in nearby Roderick Haig-Brown Provincial Park. The Annual Salute to the Sockeye Festival goes September 28 - October 21, 2018, and we are offering discounts on wonderful Sun Peaks family accommodation during this period. Continue reading "Millions of Sockeye Salmon Spawning Near Sun Peaks"
- The Sun Peaks 2018/19 ski season and winter activities opens on Saturday November 17, 2018. - The Best Sun Peaks discounted lift passes are available online ahead of time via Liftopia. Book online early for best pricing. - The new Sun Peaks chairlift, currently known as the Orient Express, is set to open by the beginning of the 2018 holiday season, providing amazing ski-in ski-out access from Stone's Throw, Trapper's Landing, Trail's Edge and other East village accommodations. 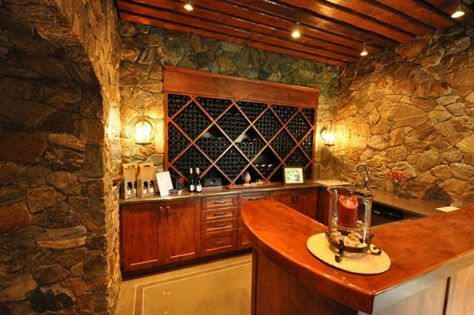 - Prime dates and owner-direct rates are Sun Peaks Vacation Rentals are still available. Book before October 1, 2018 to save 11% on new taxes that are coming into effect for individual property owners. - Discounted Sun Peaks ski and snowboard rental equipment packages are available online through Sun Peaks retailers such as Jardines, McSporties, or Free Fall, or discount Liftopia ski equipment packages. Continue reading "Sun Peaks 2018/19 Ski Season and Winter Activities Opening Date"
Continue reading "Sun Peaks Winery Tours - enjoy tours from Sun Peaks to nearby wineries"
Continue reading "Kamloops Winery Tours - A New Taste Experience near Sun Peaks Resort"
I would highly recommend this Sun Peaks condo and playing the Sun Peaks Resort golf course to everyone. 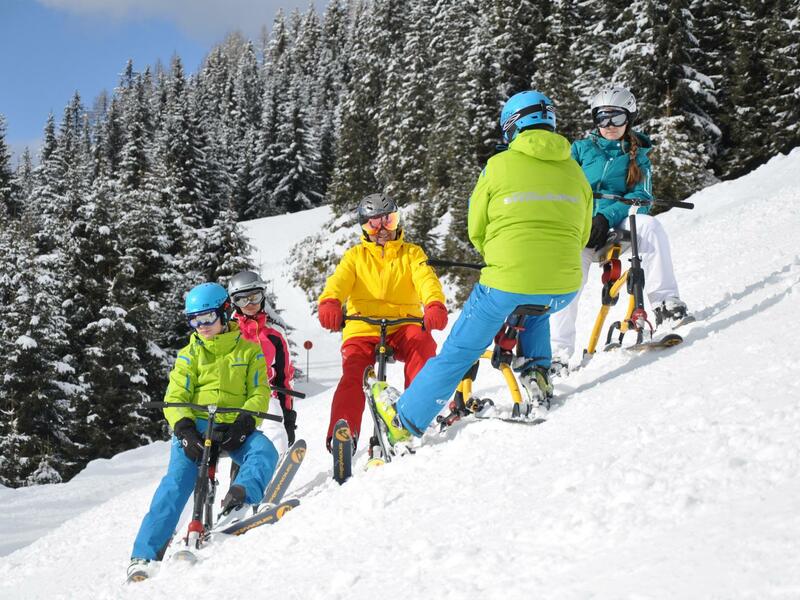 Continue reading "Highly Recommend The Best Sun Peaks Condo and Golf Course"
The 2018/19 ski season is not far away and an Avalanche Skills Training (AST -1) Course is coming to Sun Peaks Dec. 8 & 9. This is the course where you’ll learn how to recognize avalanche terrain and how to self-rescue. AST 1 is a two day course with both classroom and field components. You need to take this course first and so should your friends because just one person trained in a group is not enough. Everyone in your group should take an AST 1. Recognize an AST 1 course is only the beginning - the avalanche pros will tell you avalanche training is a life-long process. This course is essential for those who venture out of bounds, off the trails or into the backcountry. You don't need any experience to take this course. It is a must for everyone recreating in the backcountry or slackcountry. Limited Space - only $289. Equipment is provided. 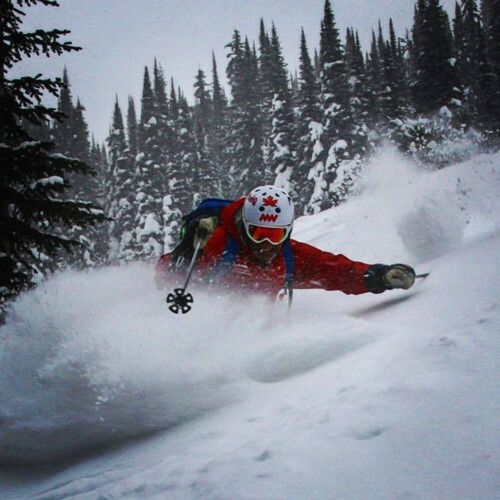 Continue reading "Avalanche Skills Training AST1 Coming to Sun Peaks"
Continue reading "Enjoy Sun Peaks Skiing at Canada's 2nd largest ski resort"
"Thank you for your email. Yes, the smoke and chilly temperatures on Sunday were a bit of a disappointment, but we still had a great trip. The kids loved the mountain biking so much that we had to drag them off of the hill yesterday at 5:00! Your chalet was perfect for our group. The kids loved using the hot tub, playing video games and watching movies on the downstairs level and the dining area was a perfect spot for all of us to enjoy meals and card games. We were even able to sit outside on the deck and enjoy the sunshine before heading out to the concert on Friday night. Continue reading "Perfect Sun Peaks Chalet / Townhouse"
Book your Sun Peaks ski vacation accommodation direct with trusted owners and before Oct. 1st to save up to 20% on Best Sun Peaks Vacation Rentals. Chose from a beautiful 3 bedroom condo in Stone's Throw, 2 or 3 bedroom townhouse in Trail's Edge, 4 bedroom townhouse in Trapper's Landing, 3 bedroom townhouse in Timberline Village and a brand new 3 bedroom plus flex room in Village Walk. Avoid the VRBO and Airbnb booking fees by booking direct with the trusted owners to save an average of 10%. And book prior to October 1st to avoid the new 8% British Columbia PST and 3% municipal tax on individual vacation property owners. Book now for best rates and best dates for your Sun Peaks winter holiday. Continue reading "Book Sun Peaks Accommodation By Oct 1 To Save Up To 20%"
With both Echo Landing and Village Walk already sold out, Sun Peaks Real Estate options are set to grow again, with the announcement that Peaks West will be coming soon. Peaks West is a brand New Sun Peaks Residential and Commercial Development project being constructed by our friends at Meranti Developments. Peaks West will be located by the entrance to Sun Peakss, between the Sun Peaks Fire Hall and the old Burfield Lodge, and will offer a mix of 2 and 3 bedroom condos, townhomes and some commercial space. Sign up on our Sun Peaks Real Estate page to receive emails with the most current information about the project,instructions on how to register for a VIP pre-sales event, and other Sun Peaks Real Estate options. 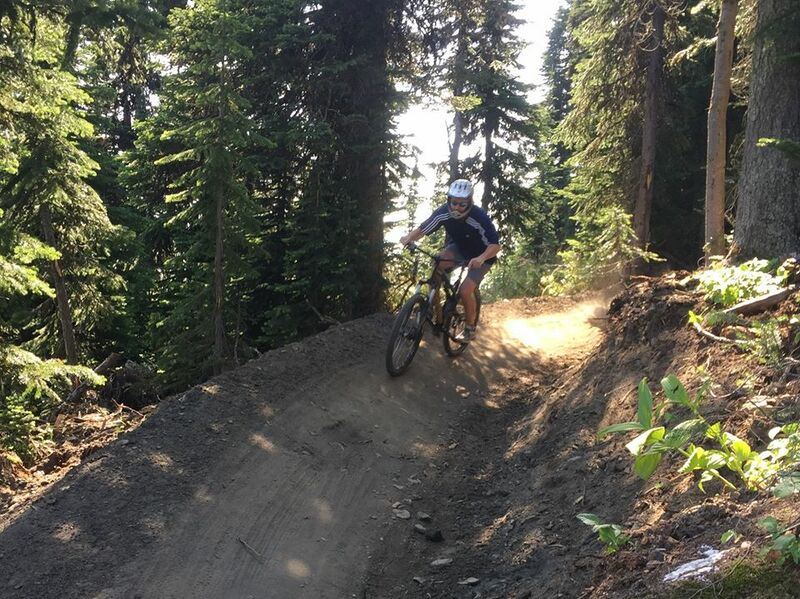 Continue reading "Peaks West - New Sun Peaks Real Estate Project Coming Soon"
Continue reading "Sun Peaks Bike Park - One of the best and so much fun"
Continue reading "Sun Peaks Vacation Rentals - Book Your Sun Peaks Accommodation Direct"
Who likes to drink? We do!! With all the fantastic wineries near Sun Peaks and craft breweries near Sun Peaks, it should come as no surprise that there are also awesome Craft Cideries in the area. Come say goodbye to summer and enjoy the Sun Peaks 1st Annual Cider Fest, September 8th, 6:00pm to 9:00pm. We will even offer 10% off our Stone's Throw condo or Trapper's Landing townhouse for the extended weekend if you book direct. Okanagan cideries and craft breweries will be on hand to provide a delicious tasting experience. Upon entry you will receive a souvenir tasting glass and 2 tasting vouchers to use at whichever booths you choose while enjoying live music and small bites from various sponsors. Continue reading "Come experience the Sun Peaks 1st Annual Cider Fest"
Check out this recently updated Sun Peaks accommodation in Timberline Village.3 Bedroom, 2 Bathroom, 3 Decks and Private Hot tub, Ski-in/ski-out, Family Friendly Townhouse, Sleeps Up To 8 People with a very central location close to all the Sun Peaks amenities. Best Sun Peaks offers booking direct with caring owners for best prices in Stone's Throw, Trapper's Landing, Trail's Edge and Village Walk. Continue reading "Timberline Village Sun Peaks - 3 Bedroom Vacation Rental"
Effective October 1, 2018, ALL short term Vacation Rentals in BC are required to charge 8% Provincial Sales Tax (PST) and some the 3% Municipal Regional District Tax (MRDT). Previously all owners with less than 4 vacation rental properties were exempt from these Provincial taxes, but the NDP has now removed this exemption. This will effectively increase the cost of your next Sun Peaks or other British Columbia vacation by 11%. BOOK YOUR SUN PEAKS ACCOMMODATION PRIOR TO OCTOBER 1, 2018 TO AVOID THIS NEW ACCOMMODATION TAX! Continue reading "More taxes coming on British Columbia Vacation Rentals"